Love the look of dark rooms you see on Pinterest, but feel a little intimidated about painting one of your own? 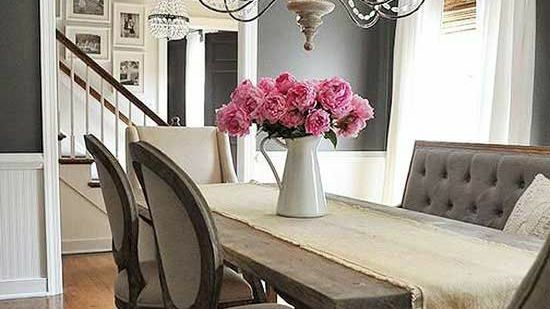 Dark paint colors don't always have to be daunting. 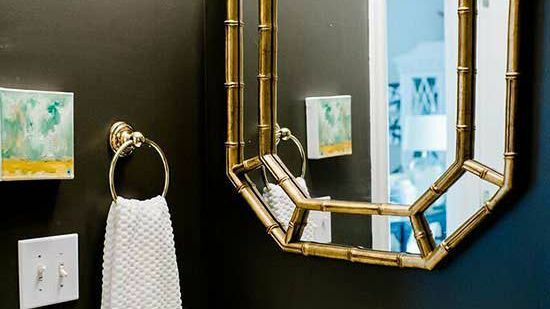 Here are five favorites you might consider to create a space that awes -- but doesn't overwhelm -- you. This was my first experience with a dark wall color several years ago, and I've been hooked ever since. Stunning by Benjamin Moore is one of the truest, darkest navys I've found. Unlike some other shades of navy, there's no purple or black undertones with this one. 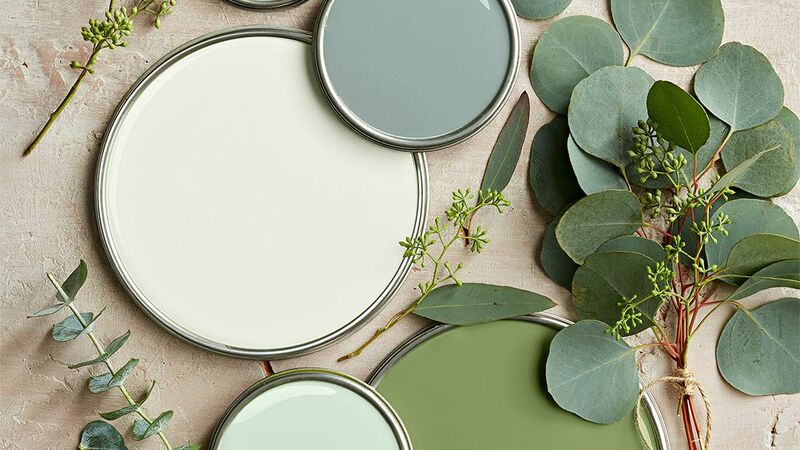 This classic color pairs well with white window treatments and brass accents. Urbane Bronze by Sherwin-Williams is one of my go-to dark paint colors because it works in so many places. It's a little mysterious, often reading as a deep gray with brown undertones. It's dramatic but still soft enough to not feel overpowering. I've used it in a small powder room (with no natural light), in a hallway as the backdrop to a gallery wall, and on the back of bookcases to make books and accessories really pop. Looking for a straightforward charcoal gray? Kendall Charcoal by Benjamin Moore is the perfect choice. It instantly ups the coziness and looks amazing with white trim and woodwork. 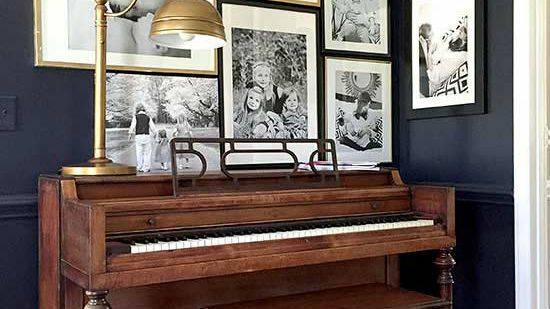 Jennifer of Dear Lillie layered this wall color with lighter shades of gray furnishings and a pretty chandelier to create a warm and inviting dining room. I had always wanted to try a black room in our house and just recently painted the sitting room Little Black Dress by Clark + Kensington. I paired it with white upholstery, natural wood tones, and brass accessories. The color actually falls within the purple family in the paint palette and in certain lights, it definitely reads as a navy-black. It's a great choice if you're on the fence about which dark color to try! 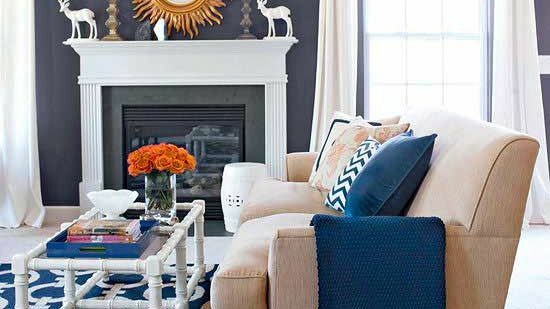 Think dark colors are just for certain rooms? 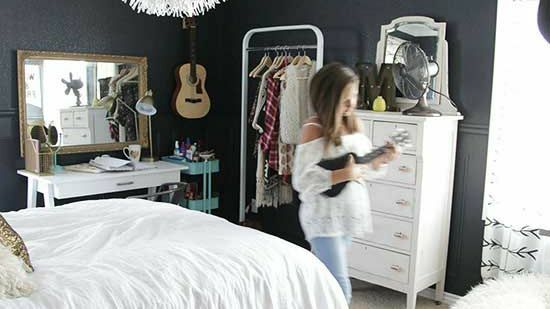 This teen girl's bedroom by Jeanne Oliver Designs is proof that dark paint can be pretty and feminine. She painted the walls Inkwell by Sherwin-Williams -- a deep, moody blue. White furniture and an oversize pendant light keep the room feeling light. Just finished painting my living room with gray and blue. Love it!! !